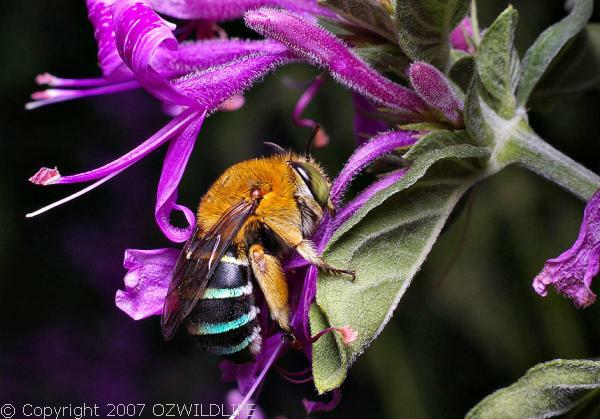 The Blue-banded Bee has a golden brown head, and the abdomen is striped black and pale blue. Males rest overnight clinging to plant stems. Size1 is 0-12mm, they can be seen commonly in gardens, feeds on flowers, often blue coloured flowers. Breed ingnest in burrow in banks, gaps in retaining walls, under houses. Can sting but are not aggressive.